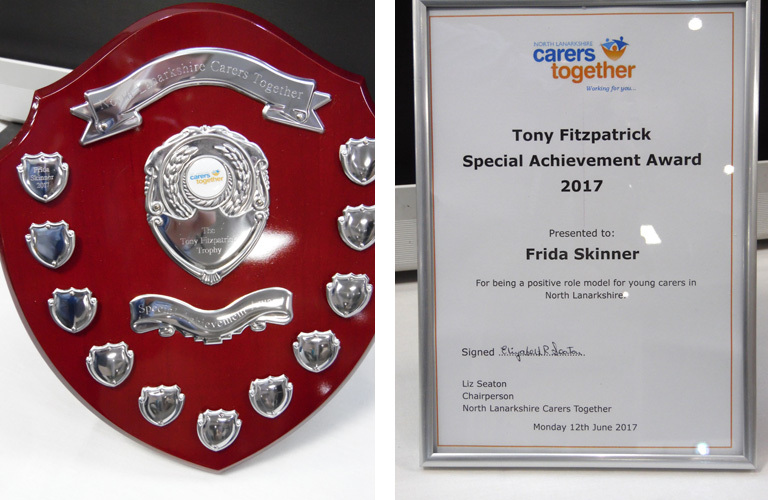 Congratulations to Frida Skinner who is the first recipient of the Tony Fitzpatrick Special Achievement Award. Frida is a young carer who helps to care for her Mum. 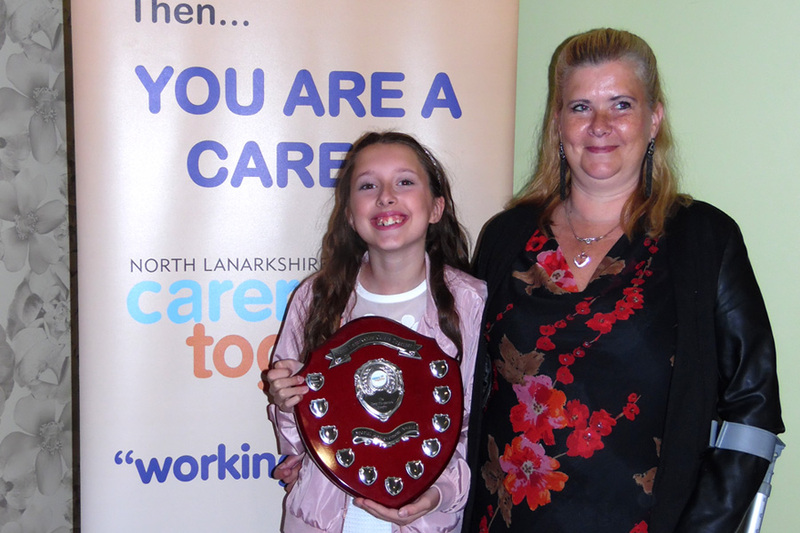 Frida has embraced her caring role and since joining the Action for Children, North Lanarkshire Young Carers Project she has thrown herself into every opportunity, including providing talks in her school and within Action for Children about the issues faced by young carers. Frida says that the project has helped her to be strong and positive and to talk about her caring role with great pride and she wants to encourage other young carers to seek support and be the best they can be. Frida was also the recipient of the 2017 Young Person’s Award at the recent Women of Influence Event. 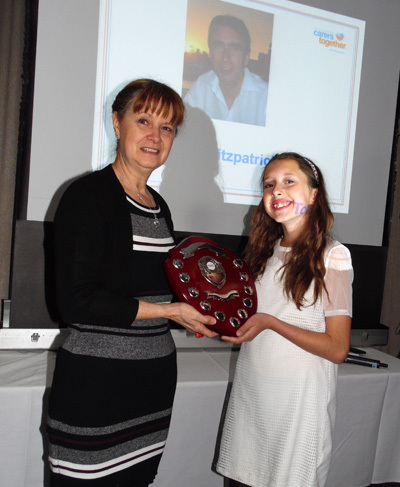 The award was presented by Tony’s wife Aileen.